This year, the United States became the largest wine market in the world, and every country that makes wine wants to get its share of it. One of the latest is Romania. Six of the country’s many wineries have banded together to secure its share of the U.S. market, and they’ve secured $3.5 million from the European Union and the government of Romania to fund the effort. One part of the marketing effort is an upcoming visit to Napa and San Francisco; another was inviting some writers to visit recently, which I did. As pioneers, we writers did encounter some rough spots, but the visit was interesting, the people friendly and the wines good, if not spectacular. The effort is not surprising. 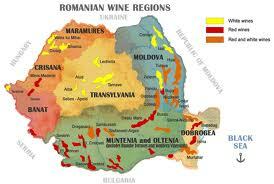 Romania, with nearly 500,000 acres of vineyards, is the seventh largest wine producer in the EU and in the top 10 worldwide. Wine has been made in the Balkan country the size of Michigan for millennia; Bacchus was supposedly born in Dacia, as it was once named.